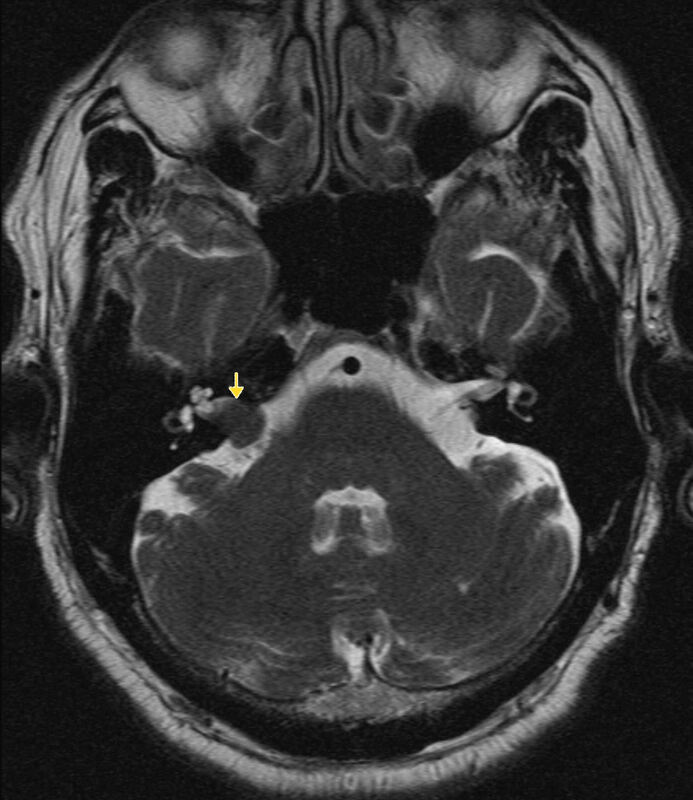 This pathway provides guidance on the imaging of adult patients with tinnitus. Image 1a and 1b (Magnetic Resonance Imaging): Pre- and post-contrast images demonstrating an enhancing lesion within the right cerebello-pontine angle and internal auditory canal (arrows). 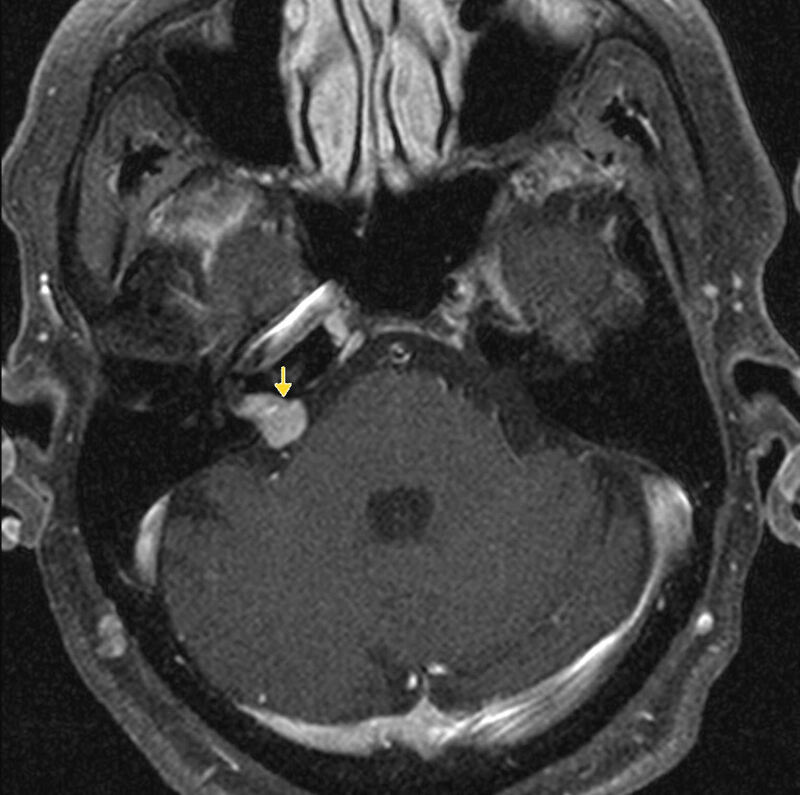 Appearances are typical of an acoustic neuroma. The lesion measures up to 17mm. Its medial aspect almost contacts the pons. A small vessel in interposed between the mass and the pons. The inferior aspect of the lesion approaches the fundus of the right internal auditory canal.